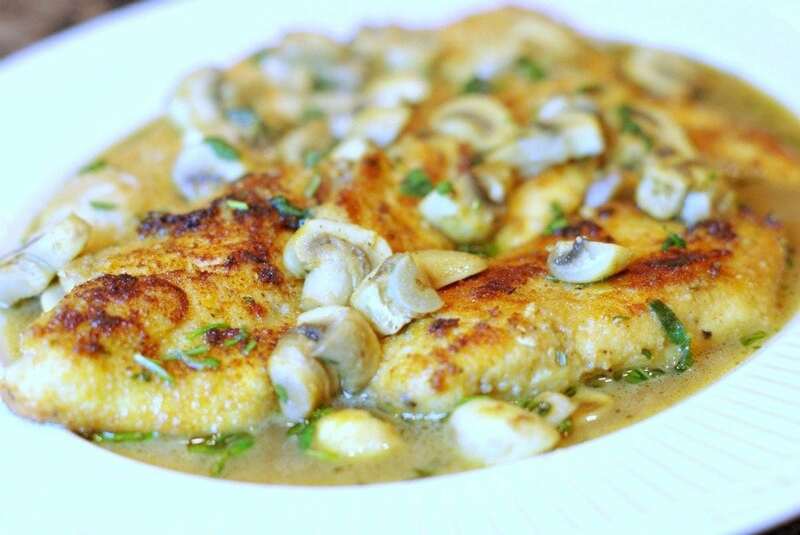 Breaded Chicken Cutlets are sauteed with fresh herbs and mushrooms and simmered in a cream sherry sauce for an easy weeknight dinner. 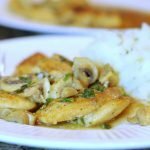 Chicken Marsala is a easy go-to midweek dinner my husband and I enjoy regularly. 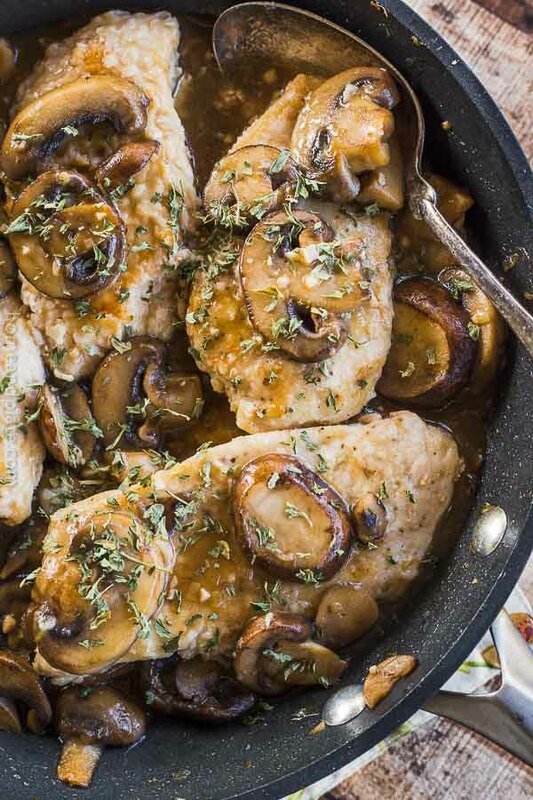 This recipe is similar in that you still get to enjoy the tender cutlets of sauteed chicken with button mushrooms but instead of Marsala wine sauce it uses a cream sherry and plenty of fresh picked herbs. I dredged these breaded chicken cutlets in Italian breadcrumbs first before sauteing them golden brown. Chop up some fresh herbs including sage, rosemary and thyme to toss into the simmering mushrooms. The earthy flavor of the mushrooms comes alive with the fresh herbs. A little tip if you don’t grow them fresh in your garden: Pick up a package of poultry mix fresh herbs from the produce section. Inside you’ll find all three herbs and save on cost. This is a dish that can be served for a dinner party or for a special holiday. Slice two boneless skinless chicken breasts in half lengthwise or prepare for chicken cutlets and season with salt and pepper. Dredge each piece of chicken in breadcrumbs. 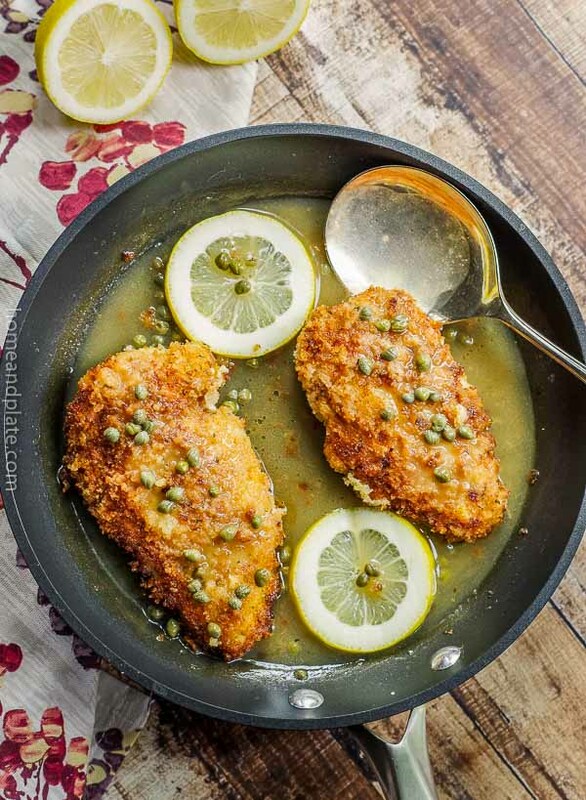 Bring the oil in a large skillet pan to medium heat and sauté the chicken cutlets until they are cooked golden in color, about four minutes a side. Remove the cutlets to a platter and add the mushrooms. And the butter and sauté the mushrooms for about four minutes. At the fresh herbs and sherry and stir for another minute. Add the chicken broth and simmer until the liquid is reduced to about 1/2 cup. 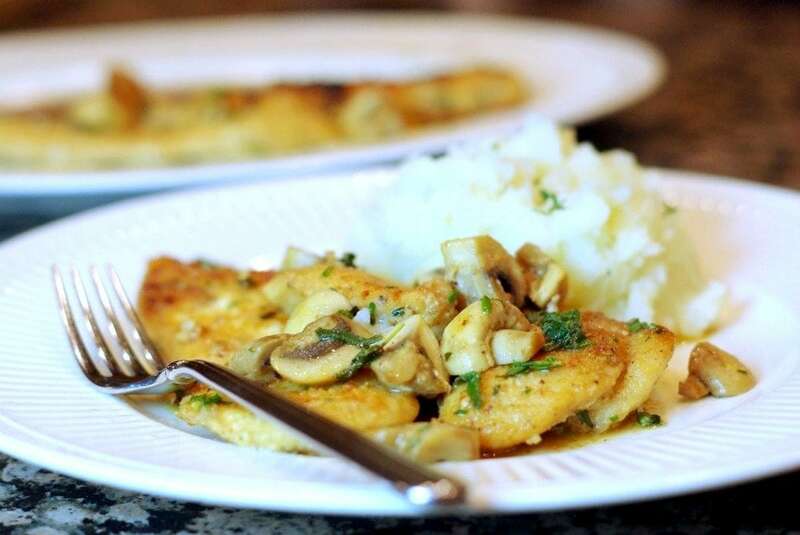 Serve the herbed mushrooms and sauce over the chicken cutlets. O this is a fantastic dinner! Easy but fancy and full of flavor! This looks amazing! I love using herbs with mushrooms as I find it creates a good balance between the hearty flavour of the mushroom. And all over breaded chicken?! Sold! I couldn’t agree more. Thanks Kaitie. 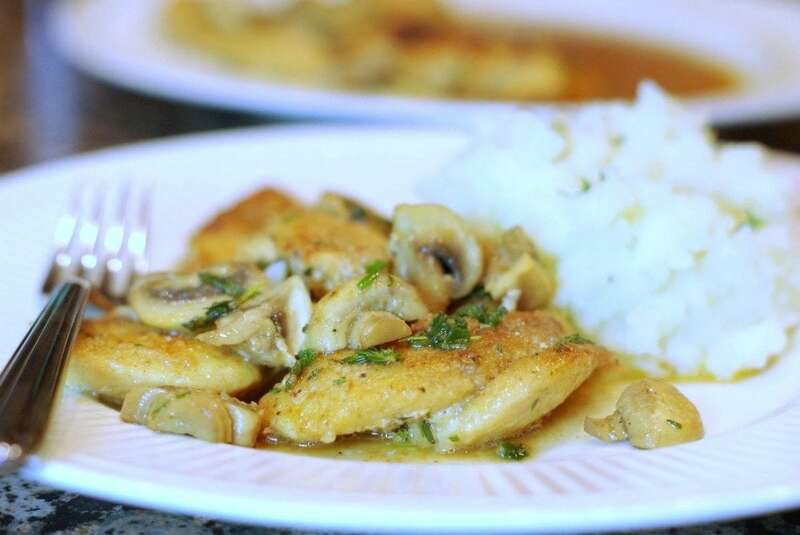 I was just craving chicken marsala. I love that you breaded the chicken. This sounds even better. I love chicken marsala too. This is similar but just as delicious. What a flavorful meal. 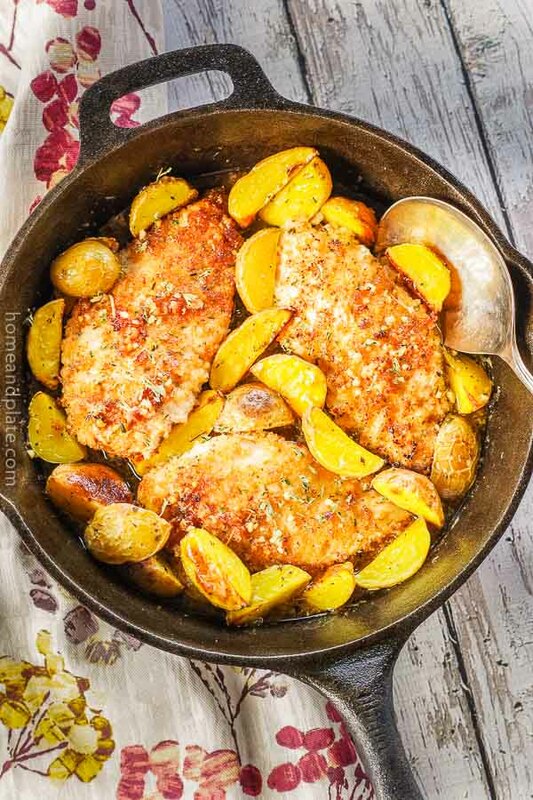 I love the breadcrumbs on the chicken, my family would love this recipe! 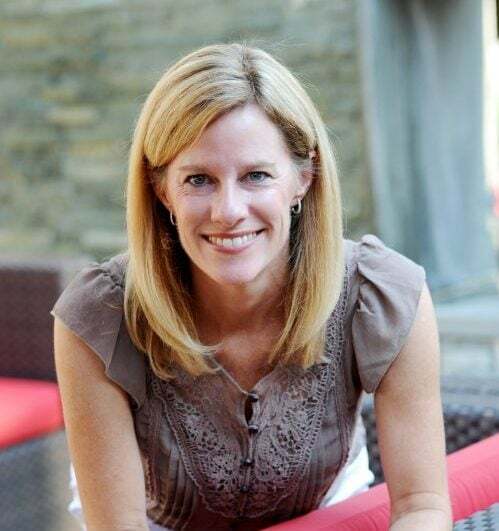 Thanks Joanie. It’s such a nice meal when you want something a bit fancier than plain chicken.